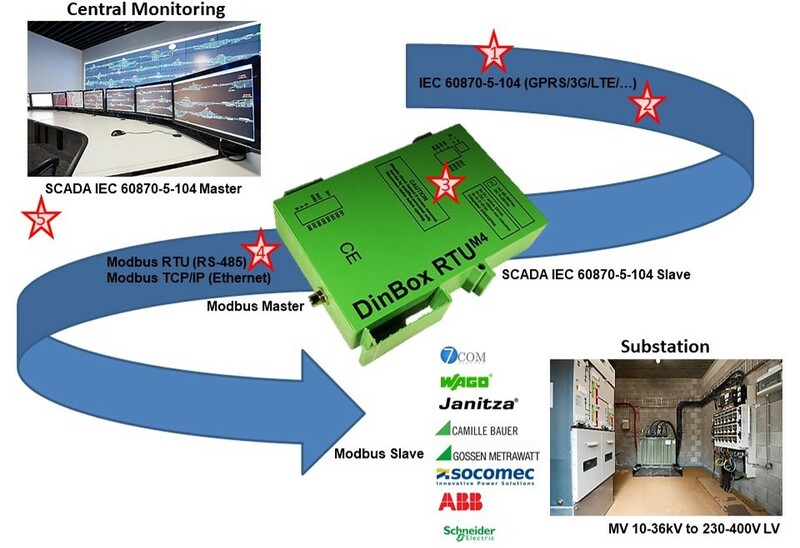 The DinBox RTU M4 can be connected for instance to a Fault Passage Indicator such as Horstmann's 'CompassB' or to typical low Voltage measuring solutions such as Socomec's 'Digiware', WAGO instruments or, as in the case of Belgian DSO Infrax, a measuring device such as the Gossen Metrawatt 'A2000'. All these devices are connected through a Modbus RTU serial interface which is 'mapped' to the IEC 60870-5-104 slave in the RTU. 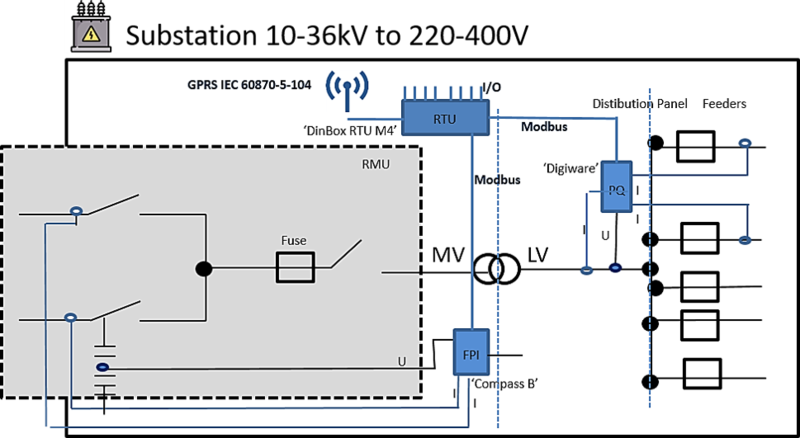 In this way Modbus registers or other objects can easily be read in an IEC 60870-5-104 SCADA environment.